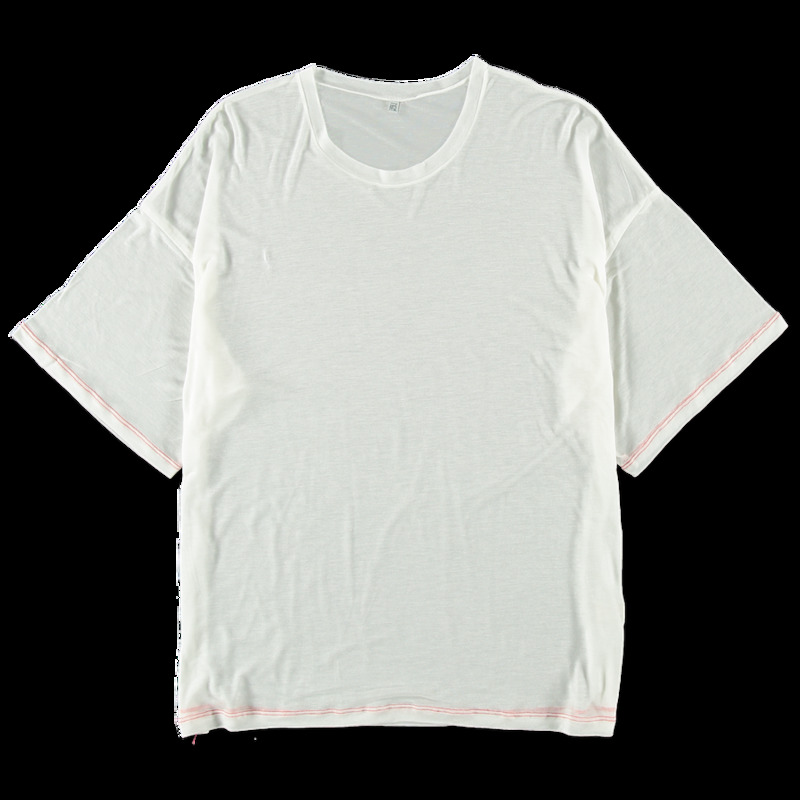 Bob Tee Sheer Silk Cupro from Baserange. Crewneck t-shirt, boxy straight fit and red double stitches on all edges. 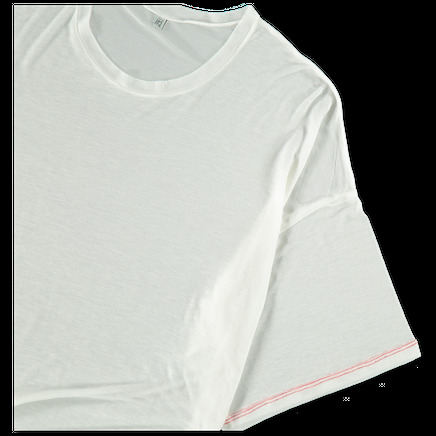 Soft sheer fabric.